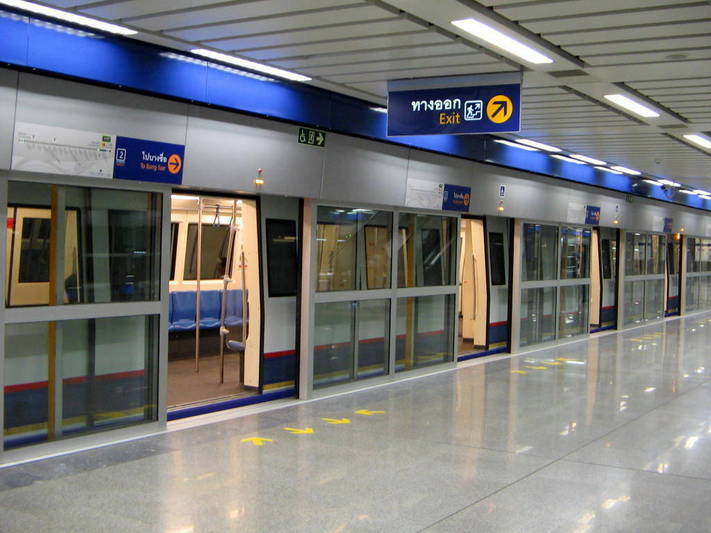 The MRT Kampaengphet subway station is located between the MRT Bang Sue Station and the MRT Chatuchak Park Station in Bangkok. 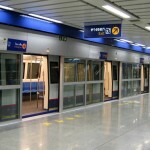 The subway system for this station is very busy as many locals and foreigners come to the huge outdoor markets at the station. The market is well known in Thailand and abroad as having everything from tropical fish to brick and brack home items. Ko Koa Hut – this small sweets store sells some of the best cocoa and chocolate sweets in the area. Located on the ground floor of the JJ Mall. Or Tor Kor Seafood – this well known restaurant near the JJ Mall serves a variety of seafood dishes and curries. Nothing better than a good meal while at the market. Khanomthai Kaopeenong – this 30 year old store has a reputation for serving some of the best Thai deserts at the market all on the cheap. Tea Tae Tium – Excellent Hainanese chicken rice at a reasonable price at this restaurant. Grilled Chicken Salad – (สุดใจไก่ย่าง ส้มตำ อ.ต.ก.) Very popular restaurant in the area with great food. 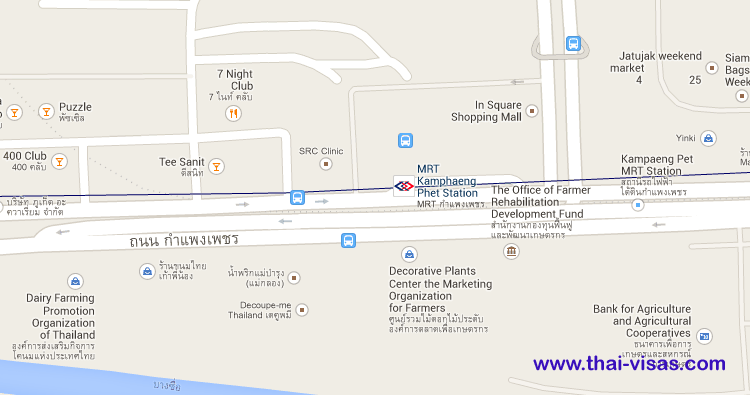 Sanan Seafood – Good seafood restaurant if you have been out on the market the whole day. Café DoiTung – The best coffee on sale at the top end of JJ market. Cafeé Kaldi – Very popular coffee shop on the 1st floor in JJ Mall. Or Tor Kor Market – this market is also known as the Marketing Organization for Farmers Market. This is an upscale food market with loads of food and restaurants opposite the Chatuchak Market. JJ Mall – much smaller than the Chatuchak Market but it has air-con but the range of products is smaller as the stands cost more monthly. There are a number of services and products on offer. From fashion to spa and salon stores. Rot Fai Park Night Market – this is a night market selling everything from cars to food and furniture. This only opens on weekends from 6 in the evening until midnight. Beer Park – Popular bar with excellent restaurant and live music. Viva Bar – Located close to JJ market with live bands and great music. MixZer – Well-known bar in the area with great food, live music and outside seating. Red Bar – Great live music, good food and well located close to the station. Buckingham – What you would call a boutique bar in Thailand with a live band. Clay Court – (ลานดิน) Well-known whiskey bar in the area with great decor.